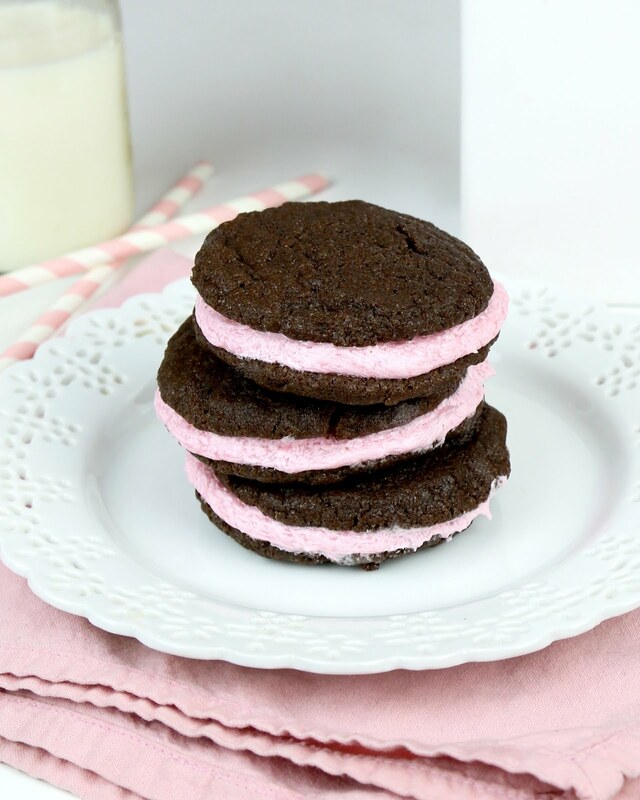 A super fun, homemade version of an Oreo cookie with a pretty pink twist. 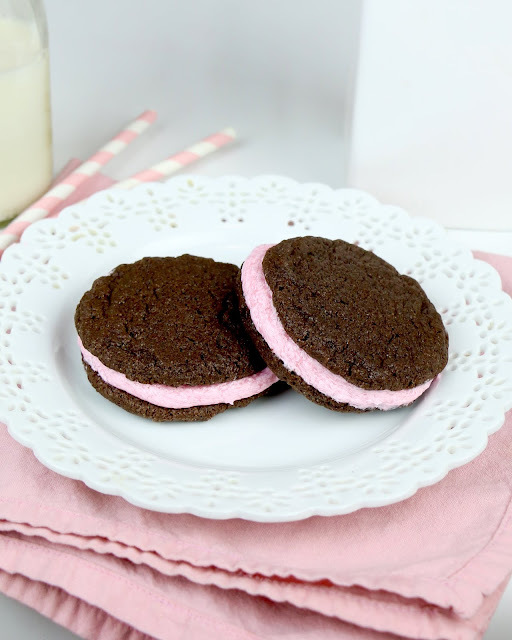 These 3 ingredient chocolate cookies are filled with a strawberry flavored filling that I am so in love with! The cookies could not be easier to make. All you need is a box of cake mix, with some oil and eggs. Mix it all together and bake. 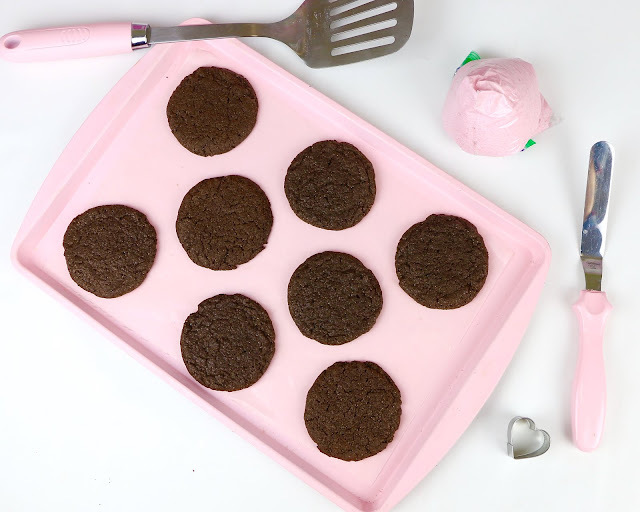 Like magic, a cake mix, is transformed into chewy, perfect chocolate cookies in minutes! 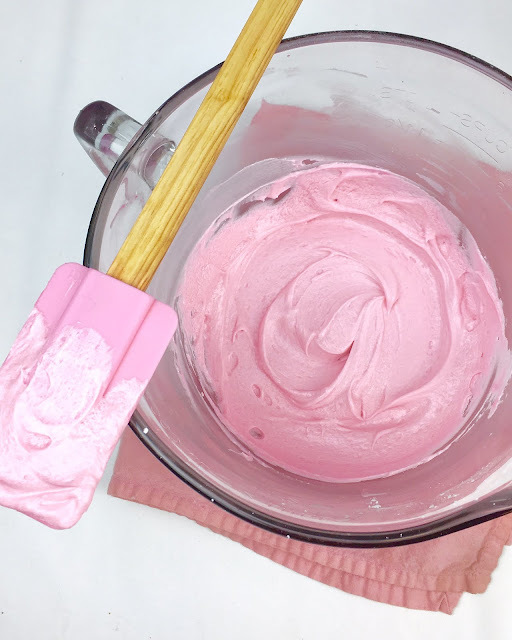 Whip up some sweet filling, that is tinted a beautiful pink hue and tastes just like a strawberry milkshake!! Then we get to put it all together! 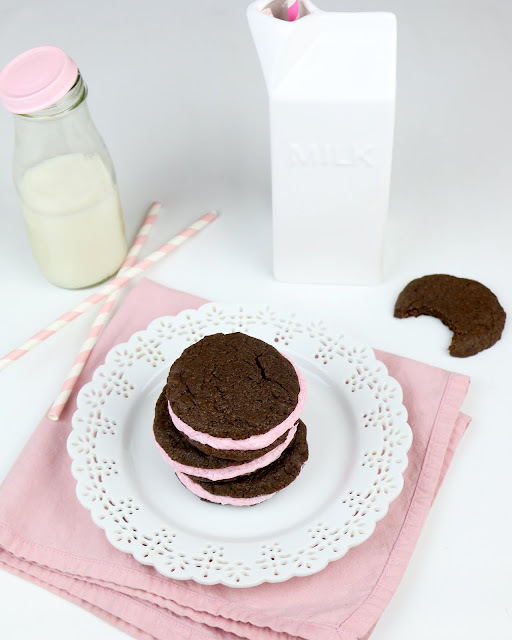 Just spread on the filling, sandwich a cookie on top and enjoy! How cute are these?! 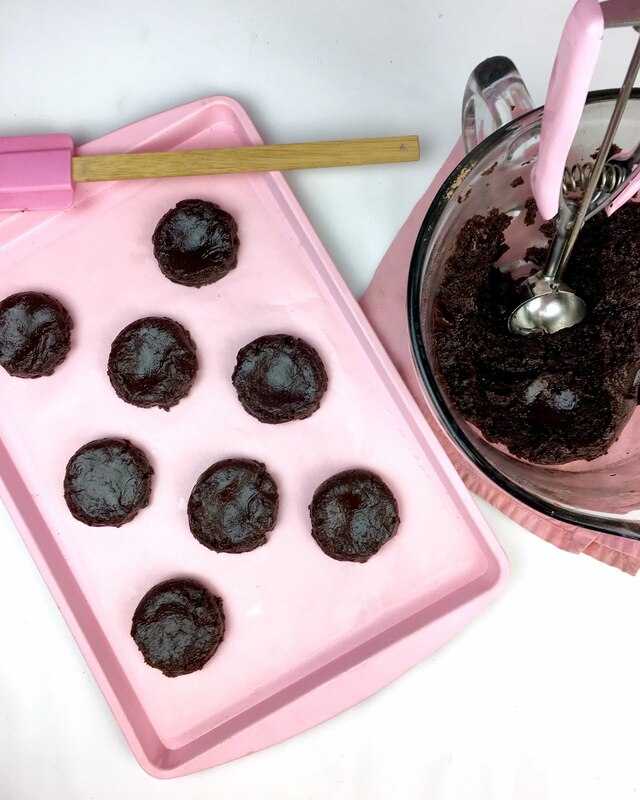 You can even use little cookie cutters, to make cute shapes in your cookies, like I did in my Valentine’s Chocolate Cherry Cake Mix Sandwich Cookies. 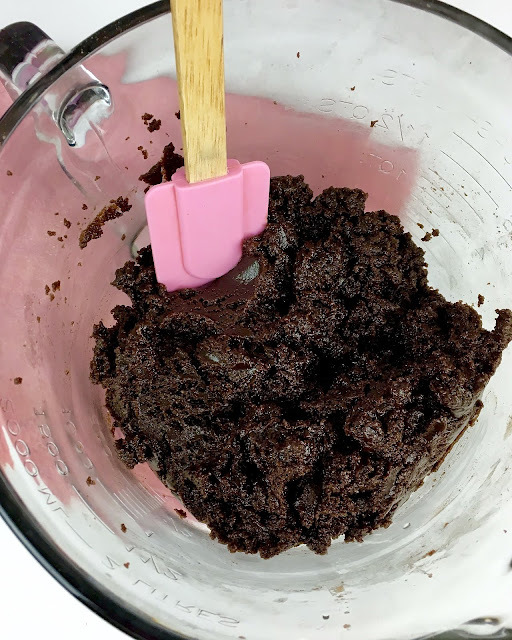 In a mixing bowl, beat together the cake mix, eggs and oil until combined. Scoop 1 1/2 tablespoons of the dough onto the prepared baking sheet, and flatten into disks, at least 2 inches apart. Bake in preheated oven for about 9-11 minutes, or just until the cookies are set in the middle. Let cookies cool on baking sheet for 2-3 minutes before transferring to a cooling rack, to cool completely. 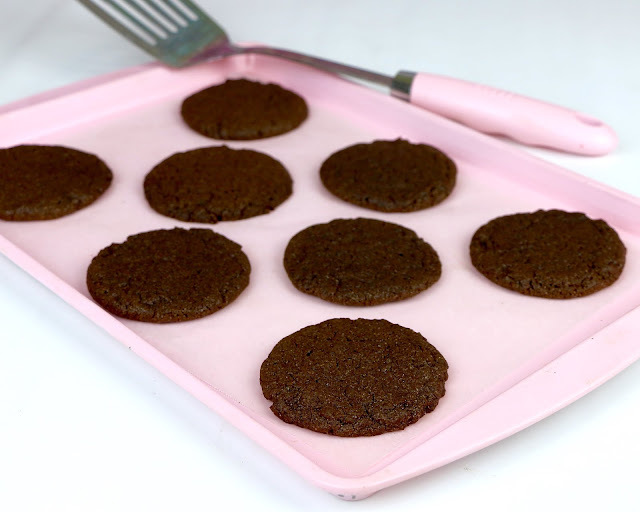 Place half of the cookies upside down on a plate and spread an even layer of filling onto the bottom side of the completely cooled cookies. 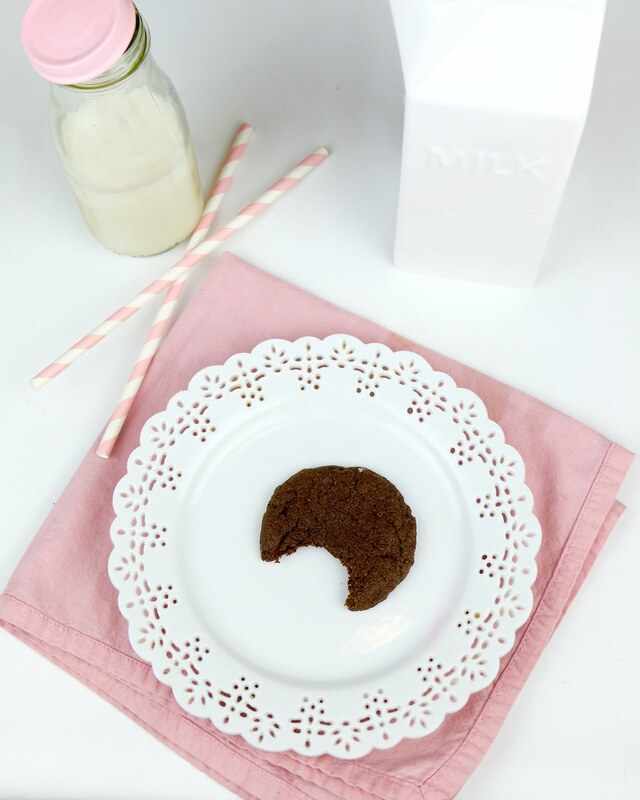 Gently press a second cookie on top, and enjoy!